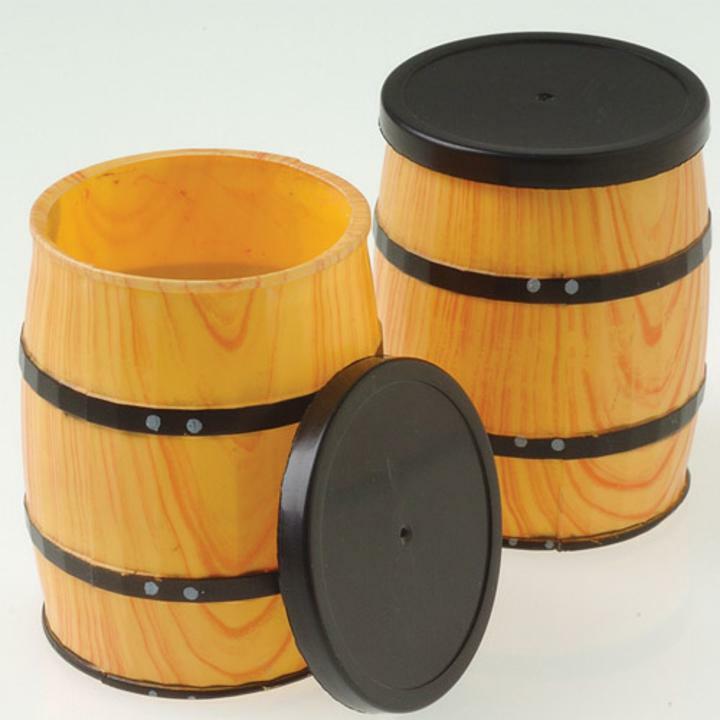 Cheap Mini Western Barrel Containers - 12 Ct. Perfect addition to any cowboy themed event! Fill this western barrel container with treats or toys and hand out to party guests. This barrel container also decorates a western themed party. A must have for western themed party supplies and decorations. L: 8.1 in. W: 4.05 in. H: 10.45 in.